After receiving a call from Geoff Coombs SeaSucker Down Under signed up as an Essential Partner with Tour De Cure. Since 2007, The Tour De Cure Essential Partnership is for the 2017 season and beyond. 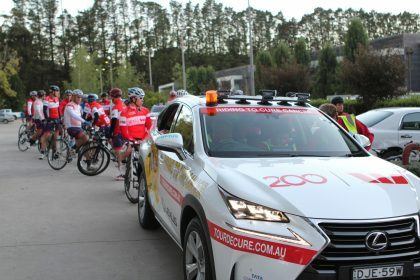 Tour de Cure, a Tier 1 cancer charity, has raised over $25 million towards finding a cure for cancer. They funded over 252 cancer research, support and prevention projects. This resulted in 18 scientifically-recognised cancer breakthroughs. 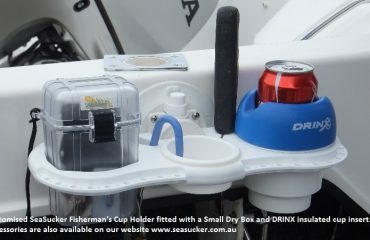 For the 2017 Cycling Tour Seasucker Down Under provided 5 x SeaSucker Bomber Bike Racks, 10 x SeaSucker Flight Decks and a host of accessories and support gear to ensure Tour De Cure were completely self-sufficient. Having already completed the 2017 Westpac Tour using the Seasucker Bomber Bike Racks Geoff was delighted with their new bike racks. We also agreed to provide a SeaSucker Bike Rack for an upcoming charity auction. We are also exploring how we can use our new partnership to help Tour De Cure raise more funds through the sale of SeaSucker Bike Racks, more on this in the very near future.